Home › Uncategorized › Can Mobile Phones Cause Migraine Headaches? Can Mobile Phones Cause Migraine Headaches? 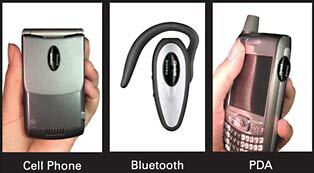 Some users of mobile phones complain of sensations of heating, headaches and nausea when using their mobile phone. However, whether these effects can result from the RF levels associated with mobile phones has not been verified by scientific studies. Some research has shown that RF radiation levels below the limits specified in the Standard can cause certain biological effects but has not established that these biological effects can adversely affect health. It is important to know the difference between biological and health effects, for example, moving from near sea level to somewhere in the mountains causes more blood cells to be made – a biological effect but not a health effect.